It is no secret that the Hispanic population is growing. For journalists this means that knowing Spanish could make them more hirable. However, does that mean that journalists with a Hispanic last name will attract the attention of employers more so than others without it? Walking through the long hallways of the Journalism Division inside Southern Methodist University, two Hispanic students were complaining about not knowing enough Spanish. “I received a call from the news director and he interviewed me over the phone. He asked me how was my Spanish and was very disappointed when I told him it was very limited,” said one of them who is interning in another English language station. “The same thing happened to me! It’s so embarrassing because when they see you have a Hispanic last name they assume you speak Spanish and I hate having to admit I don’t,” said the other one who is also interning but in a Spanish speaking station where she is a floor director. Like these two students many other Hispanic journalists are going through the same situation. The successful reporter, Rebecca Aguilar, said that being more hirable is a matter of being bilingual. 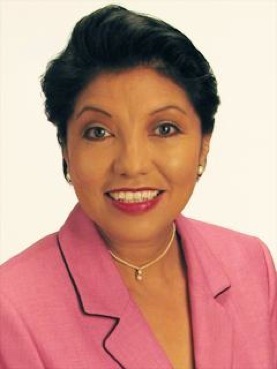 Aguilar started her career in journalism in a small market in Ohio. She then moved her way up until she became a famous reporter for a station in Dallas where she was fired after the producers accused her of being “overly aggressive” with an interviewee. With many years of experience in the industry, Aguilar learned that being bilingual not only makes you more hirable, it also gives you more options. 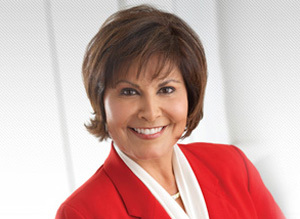 In a phone interview, Gloria Campos, the anchor of WFAA in Dallas coincided with Aguilar. Campos said that Hispanics are a hot topic because of the increasing population but hiring more Hispanics is not a big concern, at least in WFAA. After the presidential election of 2008, the changing face of America became evident when Latinos made the vote that elected the new president. The Hispanic population increased from 35.3 million in 2000 to 50.5 million in 2010. However, in WFAA the Hispanic population in the newsroom is not increasing. “All WFAA cares about is making its newsrooms more diverse, period,” said Campos. Campos also said that when hiring, WFAA is not too concerned with the last name since Latinos are “last hired, first fired,” and this usually happens during recession time; Every recession the station losses more and more Hispanics in the newsroom. However, what about Spanish language stations? And why do Hispanic reporters earn less money in Spanish-speaking stations that English-speaking stations? This year in a Hispanic Communicators Conference in Dallas, these two topics were addressed. One of he three main reasons given was that the audience in Spanish speaking stations is not as large as in their counterparts, which is not entirely true. For example since 2011 a Nielsen study revealed that Univision was competitive with the Big Four networks: FOX, CBS, ABC and NBC. Currently, Univision attracted more primetime viewers than NBC and was rated the No. 3 broadcast network in primetime, ahead of CBS and NBC. 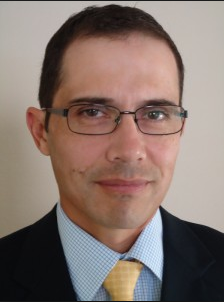 However, Carlos Tamez, the news director at Univision Dallas, said that even though their ratings are high lately, they are not receiving more revenue because the other Spanish stations are offering their advertising spots for significantly less money making them bargain away their own spots. The second reason given in the Hispanic Communicators Conference was poor content, which creates a loss of audience to English language stations with better programming. Since the stations’ revenue comes mainly from advertising, a small audience will attract very little advertisers creating small revenue. The “Paternal Society Syndrome” was the third reason argued in the conference for reporters in Spanish language stations earning less than reporters in English language stations. This syndrome is created by the Hispanic culture. In most Latin American countries changing jobs often is a sign of instability and is usually frown upon, which leads to people staying in their jobs for more than 10 years. This is why employees in Latin America see being hired to a company as a favor and usually develop a sense of loyalty towards it. In Spanish language stations many of their employees were born in Latin America or were raised by Hispanic parents. Therefore, according to conference attendees, the American owners of the stations take advantage of this way of thinking and never raise the paycheck since they know that their employees will be loyal. Plus, if the employees choose to leave, there will be a big line of potential employees waiting to be interviewed for their position. Tamez however, believes the main reason for this gap between English and Spanish station is just because of the difference in revenue the stations receive. “If a company is receiving very little revenue, they simply can’t afford to pay you more. If they do, they will be out of business,” Tamez said. Again, coming back to the initial question, it seems that having a Hispanic last name does not make you more hirable, but being bilingual does. Plus, by being fully bilingual the journalist will have the option of going to a station that pays more. 30 Apr	This entry was published on April 30, 2013 at 6:57 am and is filed under Bilingual/ Bilingüe, curiosities, TV. Bookmark the permalink. Follow any comments here with the RSS feed for this post.